Study Break's are held on our parish campus and include games, snacks, and topical discussion. Break Out's are events held off campus and include movie nights, retreats, trolley parties and pizza nights. Please see our monthly newsletter for more information. This group is open to ALL middle school students from ANY school. El Camino is our Parish High School Confirmation Program. This is a two-year preparation process. Its many components include large and small group sessions, retreats, games, art, liturgical celebrations, parish service and three urban plunge service events in Seattle, Los Angeles and San Francisco. An emphasis is placed on understanding the past, living the present and planning for the future as members of the Catholic Church. Sessions are held twice a month from 11:00-12:30 a.m. following the 10:00 a.m. Sunday Mass. *Sessions are held Fall through spring. with optional camps, conferences and retreats throughout the summer. *Open Registration for our 2017/2018 year will start in August 2017. 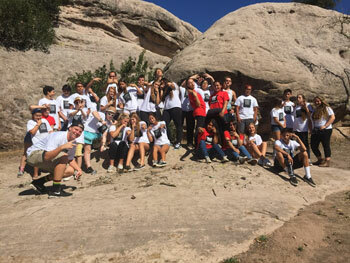 "CORE" is our High School Leadership Team. This group meets regularly for bowling nights, retreats, leadership training and movie nights. 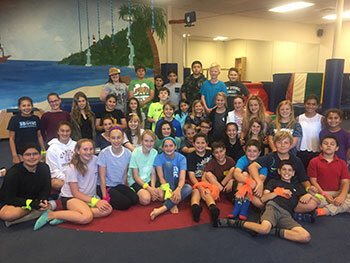 Core Students are also given the chance to plan and assist with Confirmation sessions; youth group events and our “Urban Plunge” service retreats. 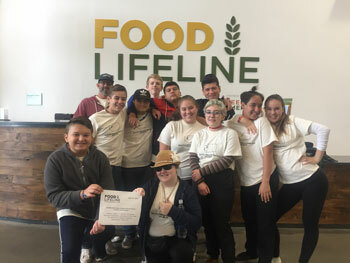 Students may earn up to 100 school community service hours per year! We meet monthly to develop our Catholic identity and strengthen relationships with Christ, with one another, and with the wider Catholic community. 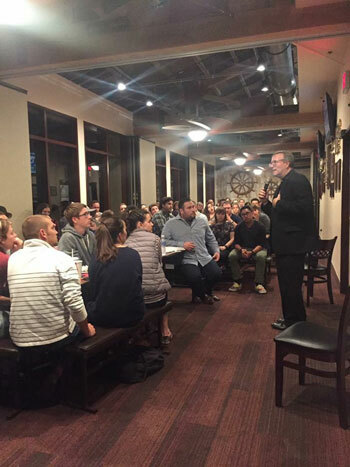 In spring, we offer Theology on Tap with regional speakers including Bishop Robert Barron. We work in partnership with the Los Angeles YAD and the many Catholic Churches in the Santa Barbara Region. 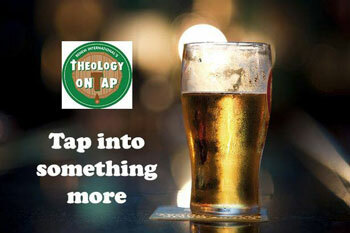 Open to Young Adults ages 21-39 in all parishes - bring a friend! 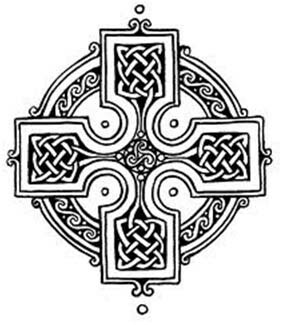 *"Westmont Outreach" We are here to support our Catholic students who attend Westmont College- "Mass Transit" aka rides to Mass, campus visits, spiritual guidance and College Internships are always available. My name is Sarah Mack and I am the Youth Minister and Confirmation Coordinator at Our Lady of Mount Carmel Parish Church. I am married to Justin Mack and we have been blessed with two sons, Zachary and Elijah. My husband and I have been working in youth ministry for over seventeen years, in our hometown of Santa Barbara, and also in the Mojave Desert and Seattle, WA. I graduated with a degree in Criminal Justice and in Global /Urban Ministry and have served on director's boards for international youth conferences and many regional retreats. I also speak to students at our local pubic and private schools on topics such as Marriage, Chastity and Self Esteem. My goal at Our Lady of Mount Carmel Parish is to create a place where our youth can "Belong, Believe, and Become". Through a variety of programs, events and outreach, we seek to draw young people into responsible, lifelong participation in the work and mission the Roman Catholic Church. If you have any questions or if your would like to join our mailing list, please feel free to contact me at the Office of Religious Education.